John is based out of Bemidji, Minnesota and covers North Dakota, South Dakota, Northern, Western Minnesota, and Nebraska. John obtained his CPMR at the University of Arizona. During the three years of the CPMR certification program, participants create an international network of colleagues in diverse industries. They acquire a common body of knowledge and mutual ethical standards. 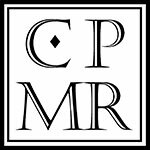 Reaching beyond a single industry and across borders CPMR identifies individuals that are committed to being on the leading edge. John was formerly employed as a Sales Manager with Graco, Inc. in the Contractor Equipment Division where he covered the states of North and South Dakota until 2000. John is a 1988 Graduate of UW River Falls. He has a B.A. in Business Administration/ French.